How did the US get to its state today? The past will reveal the decisions leaders made and how they affected the people. Some of those decisions have even created ripples that react the modern times. 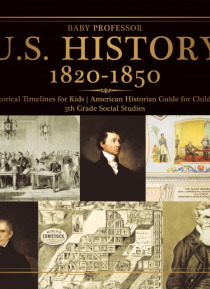 For this history book, the focus will only on from 1820 to 1850. Breeze through those 30 years within a few minutes. Grab a copy now.